Welcome to Scandic Byparken, the hotel that won the award for the county's best hotel breakfast in 2018! Central hotel in the middle of Bergen city. Close to known sights such as Torgallmeninngen square, Grieghallen concert hall and the old wharf Bryggen. We offer show packages to please visitors of all ages. Close to public transport – perfect for both holidays and business trips. In our restaurant we serve a generous breakfast every day, in addition to lunch and dinner. Our lobby bar is a good meeting point, perfect for unwinding after a long day full of activities. Book one of our tailored show packages, which includes hotel stay and a memorable show. If you want to stay fit during your stay, we work together with iTrain gym across the street from our hotel. Ask our receptionists for more information. For the youngest members of the family, we have an exciting welcome gift! If you're planning a meeting, conference or event, we can offer flexible facilities for up to 80 participants. Parking is available at Grieghallen for guests arriving by car. Free WiFi is available in all our hotel rooms and common areas. Stay in the heart of Bergen, and discover an international city with a small town charm and warm atmosphere. The beautiful park Byparken, Festplassen square and Lille Lungegårdsvann lake are all close by our hotel. Popular Torgallmenningen square and Grieghallen concert hall are a few blocks away. If you wish to visit Bryggen and Fisketorget, they are only a 10-minute walk away. Our central location makes our hotel ideal for both holidays and business trips. The train station is only a 5-minute walk away from our hotel, and the airport shuttle bus to Bergen airport Flesland stops right by our hotel. 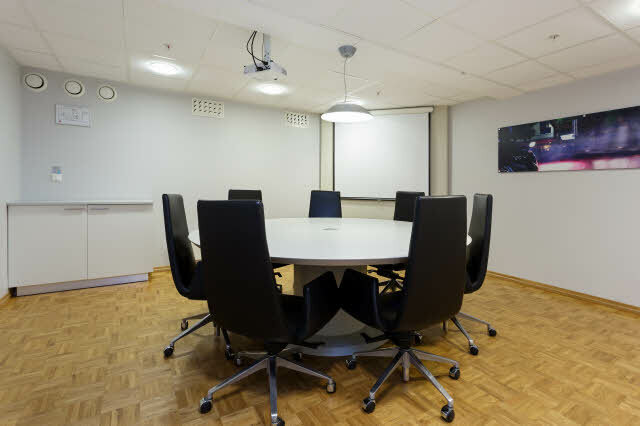 With our location near the bus and train station, Scandic Byparken is an ideal meeting place. We can organise meetings, conferences and events for up to 80 people in inviting facilities.